This Hilarious Video Hints Kapil Sharma Prepping Up For The New Season Of The Kapil Sharma Show? 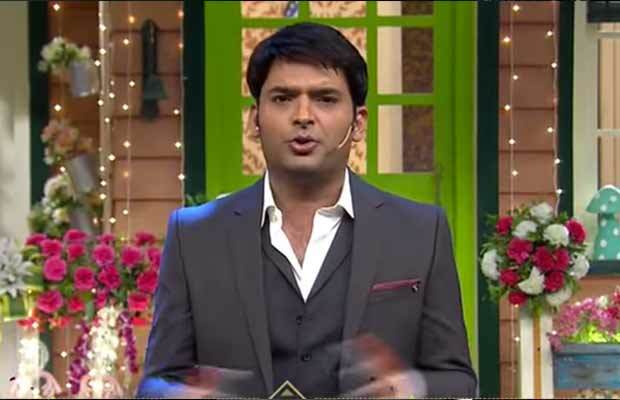 Kapil Sharma coming up with the second season on Sony TV? As we all know popular comedian-actor Kapil Sharma was having a tough time after his infamous spat with co-actor Sunil Grover. Owing to his health issues, Kapil also chose to take a break from his show, ‘The Kapil Sharma Show’. The channel had confirmed that the show will be back once things fall back in place again. The year 2017 was a year of controversies for Kapil Sharma. It started with his fight with co-stars Sunil Grover followed next was a series of controversies. There were also reports of Kapil not reporting on time for his shoots, which had led to the cancellation of episodes. This behaviour of Kapil had also reportedly upset big stars like Shah Rukh Khan, Anushka Sharma among others. But looks like after his film Firangi, Kapil is prepping up for his comeback on TV. Why do we say so? Well, Kapil shared a snapchat video of him mimicking his TKSS character Arora Sahib. But this, he mentions as the ‘junior Arora Sahib’. So, is Kapil planning for a comeback on TV with a new version of his character? Previous articleBigg Boss 11: Did Puneesh Sharma Just Give A Proof That Vikas Gupta Will Get Evicted This Week? Next articleWatch: Baaghi 2 Star Tiger Shroff Secretly Marries Disha Patani In Goa? Video Leaked!